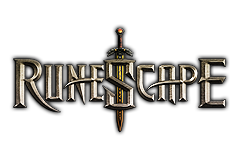 "I remember when RuneScape was fun. At the time I started playing in 2004 until about 2008; When a full set of Rune armor was a stunning 300k, excluding the scimitar. If we had to work hard and chop Yews for the and days at a time to avoid wasting up, only to get hacked with a keylogger and every one of our yews and our rune axe disappear. When it didn't seem like a WoW-knockoff, and yes it was beautifully low resolution and made you're feeling all warm inside traveling around following Flute Salad or Scape Soft, traveling the countryside, reaching the quirky NPCs. Taking a random journey to Karamja to coach my fishing level and pointlessly break up bananas before I ate them, and selling the fish I didn't ought to the shopkeep there creating a nice little profit. Training around the giants within the cave between Varrock and Falador...truly the nice past." "I recall killing cows to get cowhides and down the line selling them with the Al Kharid bank. I was so proud as i can afford an adamant scimitar. dying to a chicken before tutorial island, also not knowing how you can move and pushing keys randomly to figure against each other... standing still for just a really long time before I figured out what key I pressed accidentally that forced me to be move laughing while i realised rrt had been the mouse not laptop keyboards. doing dragon slayer at 52 and feeling all proud." "Being given the full number of Bronze armour on Runescape Classic when it absolutely was just 'Runescape'. The very fact I had created armour forced me to be feel 'pro', colour or armour type didn't matter, I had armour, that made me awesome." "While i got my first Abyssal Whip. Took me months to crank out the 5m to afford it. Even longer ontop of this to crank out the 70 attack. Dozens of hours at Unicorns and Chaos druids."